Have a told you yet how much I love meditation? Well, I love meditation. It has been crucial to my life and relationships. And it’ll probably continue to be because let’s face it…I’m human. I got a lot of things to work on yet. But what I find so refreshing about meditation is that it’s like the perfect imperfect-prayer. You don’t have to know what to say or how to say it, you just have to know how to sit and breathe. And maybe close your eyes. But that part’s optional. Anyway, I was inspired to do this post a couple nights. I had fallen asleep around 9 pm and woken up 3 hours later, so I decided to put on a documentary to lull me to sleep. Usually, it’s a murder or crime documentary. Don’t judge me. It just helps. What I found instead was 2 hour Zen Buddhism documentary that was too intriguing not to mention here. Most of us have a pretty clear image in our heads about what meditation looks like: some old wise-lookin’ dude sitting with his legs crossed and his eyes closed, breathing deeply. 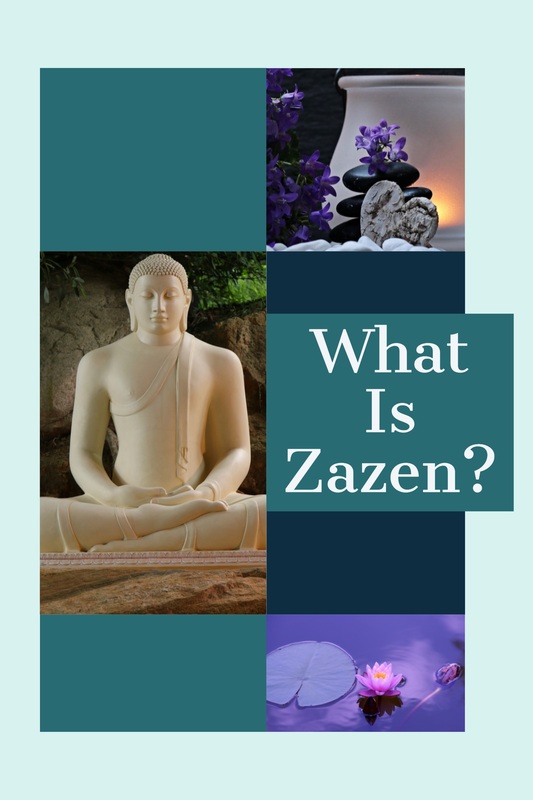 Zen, a Japanese school of Mahayana Buddhism emphasizing the value of meditation and intuition. That’s loosely what it means, if you need a definition. But Buddhism and meditation is much more flexible than some other religious practices. If I’m being totally honest, I’m not even sure how to describe it for fear of being wrong. Because it’s just not that concrete. It depends on the school and the teachings you’re practicing. 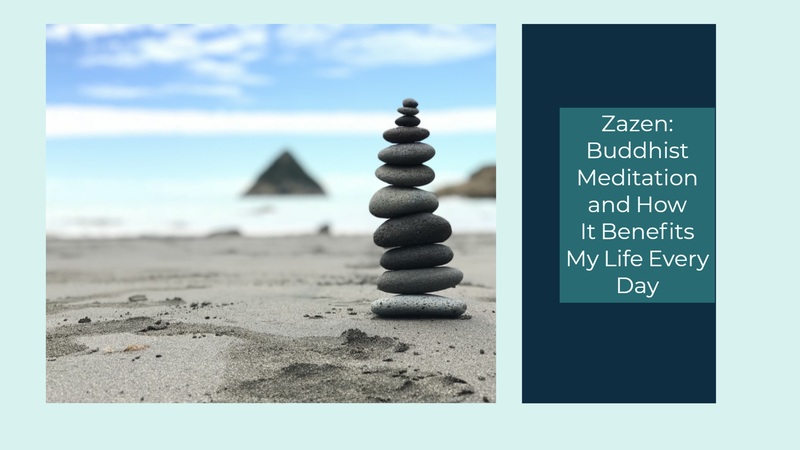 But if you want some tips on how to practice, check out this article from the Zen Buddhism website. Actually, the whole website is pretty helpful, offering an explanation of Zen Buddhism itself and several other topics. Feel free to check it out, then take some time and a cup of tea and check out that documentary I linked in the intro. Over the last few months, I have tried to do a little bit of meditation every day. Why? Because eventually, you learn to carry the benefits of the meditation throughout your day. According to Dr. Joe Dispenza, regular meditation can actually change your brain. Sounds like a placebo effect…is that the right word to use? Anyway, yeah, you probably think it’s “all in your head”, right? Right. It is definitely in your head. But it’s not a conscious change, it’s a subconscious one. I have been doing between 5 and 20 minutes a day for about 2-3 months now and I can honestly say that I feel the changes. I’m calmer, I’m generally content, I’m more optimistic about my future, and simple things make me happy. 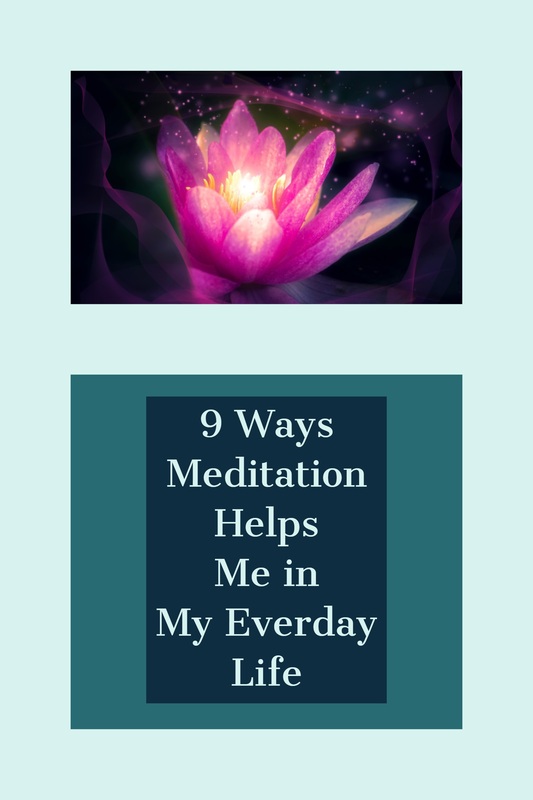 Here are 7 ways that meditation has noticeably benefitted my everyday life. If you’ve read some of my previous blog posts, you’ll remember that I have issues with anxiety and stress management. Ugh, it’s actually the worst. Just a downward spiral you can’t stop…except with meditation. All I do is close my eyes and take a few deep breaths, which is enough to stop the fight-or-flight response in my brain. Along with taking the edge off of my anxiety, seated meditation is a great way to help you focus on the moment. I mean, when you think about it, all you have is right now, right? Not to be a downer, but there’s no guarantee that you’ll live to see tomorrow. You’re human and mortal. Likewise, what’s happened has already happened. You can’t bring it back or change it, so why hold on to it? Plus, I’m a chronic dreamer and planner. It’s a quality I’m proud of, but it can also mean that I get lost in my thoughts sometimes. I forget that it’s important to live exactly where you are, too. But a few deep breaths and some focus brings me back. The more I’ve been able to step back and observe my thoughts, the more I’ve discovered about myself. I know my good and bad habits now. It makes emotional healing and acceptance so much easier. Thoughts are like a stampede: dangerous to anyone who gets caught in them, but intriguing if you’re able to witness them from a distance. Can you imagine how crazy it would be to find yourself running head-first into a stampede? Or trying to run with it? Sounds pretty dangerous. Meditation gives me the ability to resist that urge. When I do give in to my thoughts, it’s a lot easier to sort through what serves me and what doesn’t. If it doesn’t serve me, I don’t give it energy. Here in Western society, we want an explanation for everything. Which means we’re always analyzing things into smaller components, trying to keep track of several details. What if we just didn’t? If we just allowed things to be exactly what they are and stopped trying to pull them apart? Meditate; keep it simple. Can’t tell you how much easier and more enjoyable my life has gotten by letting go. This one is really, really, REALLY hard for me. I come from a family of Doers; everything is willpower, sacrifice, and action. If you’re uncomfortable where you are, do something about it. Ah, if only the brain and the heart could actually work that way. Life would be so much easier. But they don’t. Sometimes, always doing and never just being can hurt you…badly. For example, saying that something that you just know needs to be said…and causing more harm than good. When I learn to let go of things that don’t serve me, I learn not to give energy to resentments. I stop hating myself and I stop hating other people for their faults. What’s left after that? Compassion. I have so much more compassion to give myself and others because I’ve let go of a lot of resentment. I’m not perfect at this one yet…but I’m learning. More ok with it now than I ever was in the past. Meditation isn’t about not thinking or not feeling the things that are real to you. It’s about learning how to take a step back and observe them. Because fun fact: they happen with or without your help. Once you learn how to concentrate your conscious mind on something else, like your breath, you’ll start to see what I mean. I can’t recommend this app enough: a big help for me in this has been the Headspace app. Some of the most helpful guided meditations I’ve ever heard are in this app. It breaks meditation down to the elements, takes out the more mystical side that’s maybe still a little over your head. Think meditation might work for you? Try it for yourself. I’ve gone ahead and made my personal meditation playlist on YouTube public for you to check out. It’s basically a combination of meditations and yoga classes that I’ve found beneficial to my own life. Now you can see if some of them will be good for you. If you’re in need of something a little more basic, try out that Headspace app I linked above. It can really help break everything down for you. Once you’ve done a few of their Basic sessions, revisit my playlist. How do YOU think meditation could benefit your life?